Genomics laboratories mainly rely on manual review and updates of their laboratory information management systems (LIMS) and other independent systems to track samples, workflows, and pipeline versions. These data silos and fragmented processes can result in delays and data quality issues. What if there was a way to monitor and manage all of these tasks from a single software system? 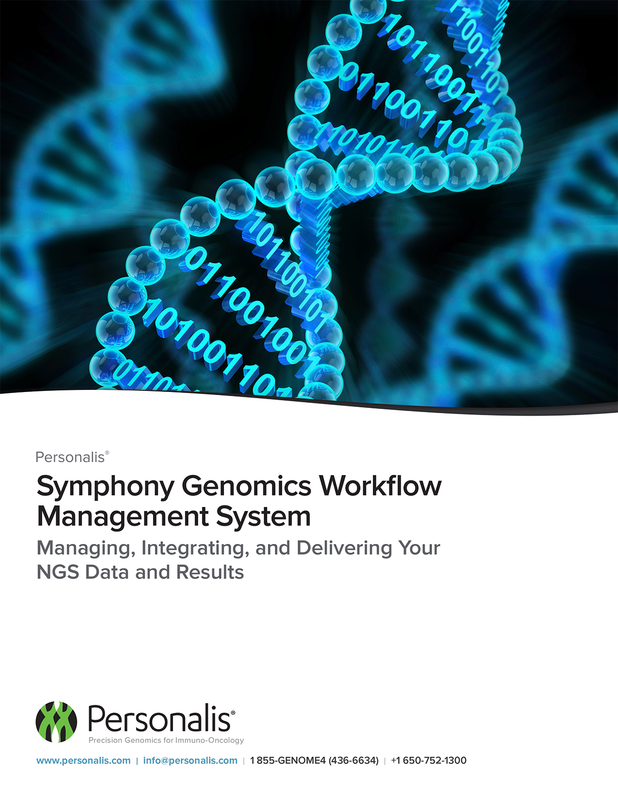 The Symphony Genomics Workflow Management System, developed by Personalis, is a flexible, scalable system designed to manage the unique complexity and challenges of genomic laboratories. Symphony integrates LIMS and bioinformatics systems, to connect lab operations with downstream data analysis. Symphony orchestrates all operational activities from the lab, to pipeline runs, to reporting and data delivery complexity and challenges of genomic laboratories. Symphony integrates LIMS and bioinformatics systems, to connect lab operations with downstream data analysis. Symphony orchestrates all operational activities from the lab, to pipeline runs, to reporting and data delivery.